Hey Everyone, its me again. I hope that you had a fantastic weekend and that for those of you in Canada I hope that you had a wonderful Thanksgiving weekend. 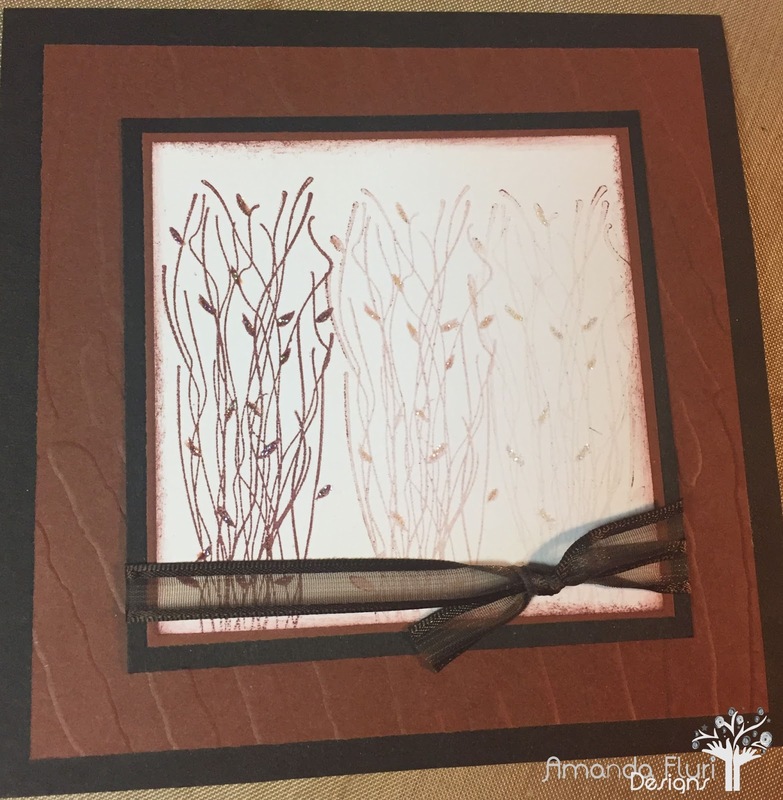 Today I am going to share with you my card from Day 10 - Yesterday. I had wanted to post it yesterday, but spent time posting my day 8/9 which I was behind because of the holiday. Today I am going to share with you a masculine card. I just love how this card turned out. It is classy and sophisticated and manly. Its a card that could be very quickly mass produced if you were wanting to create some for your stash. The image on this card was in my scrap box, and I am not entirely sure what the stamp was that I used on it or the colour ink that I used. I hope that you are all enjoying my October Challenge. I would love to know what you are thinking of it. Any feedback would be welcomed in the comment sections of my posts. Fine Glitter - used to add glitter onto the leaves of the image. Cuttlebug - used with the embossing folder to pinch the paper. 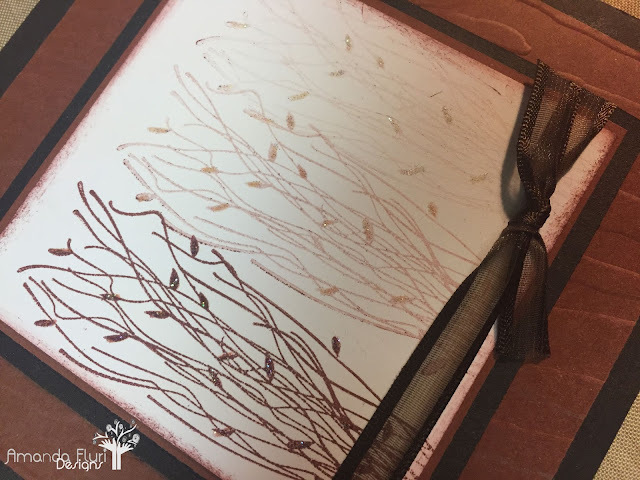 Brown Paper - paper used as mats and pressed with the embossing folder. 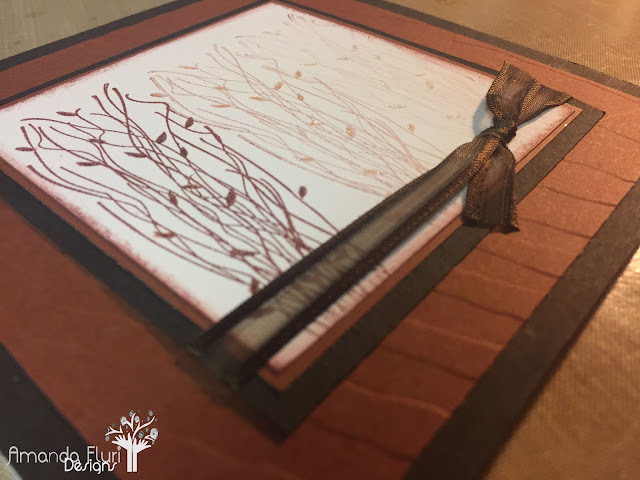 The image on this card was already stamped as I previously mentioned, so I unfortunately have no link for the ink used as well as the stamps. I remember stamping this image, and it was done with a 1st generation, 2nd generation and 3rd generation imprint of the same stamp. Its a very cool technique that I haven't done in a while, but it makes me want to do. Maybe another day this month you will see this technique done again.